“Even the blind know the way to Avanos, from the potsherds along the way.” So goes an old expression, and not without reason. Anatolian pottery-making seems to exist in a time warp at Avanos in Central Anatolia, on the old Aksaray-Gülşehir-Kayseri caravan route. Cappadocia, remembered for its ‘spell-binding natural beauty’ in the accounts of countless travelers down the centuries, and the fertile lands watered by the Kızılırmak (Red River), bear traces of a palimpsest of cultures that encompasses the Hittites and the Phrygians, the Romans, the Byzantines and the Seljuks. The Chech tumulus, one of the largest royal necropolises in Anatolia, shows that evidence of a settlement at Avanos goes back as far as the Hittites, and that the region’s unique pottery commenced with that civilization. The history of Avanos, known in antiquity as Halysin, dates to the 2nd millennium B.C. Bisected by the Kızılırmak, this township 18 km northeast of Nevşehir is one of the biggest drawing points in the region, like Cappadocia’s other touristic townships of Ürgüp and Göreme. And the Kızılırmak or Red River, which has watered a major part of Central and Northern Anatolia since the beginning of human history and which empties into the Black Sea, takes its color from the clayey volcanic soil that joins its waters at Avanos. 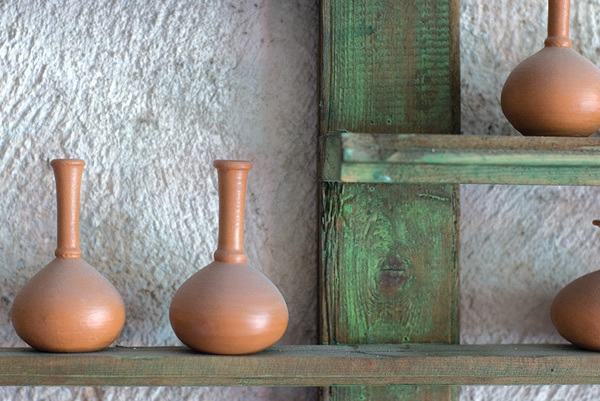 The same clay mud that has been shaped for generations into the famous pottery of Avanos. Avanos, which was known in the Hittite period as Zu-Winasa - or Nenassa according to some historians - was called Venessa in the Greek and Roman period and Vanote in the Byzantine. The name Avanos is said to derive from Evranos Bey, a Seljuk army commander. In his ‘Geographika’, written between 58 B.C. and 25 A.D., the Roman historian Strabo explains that in the political and religious sense Venessa was the third most important city of the Cappadocian Kingdom after Kayseri (Mazaca) and Kemerhisar (Tyana or Eusebia). 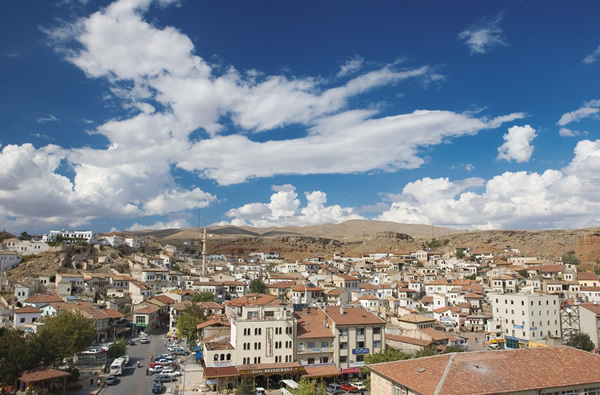 Avanos and its environs - like the entire Cappadocian region - escaped Roman oppression and acquired importance with the habitation of the early Christians here, becoming one of the principal centers of settlement in the region. The city’s architecture also attests to this in structures such as Yamanlı Church, one of the oldest in Cappadocia, the Saruhan Caravanserai, built by the Seljuks in the 13th century of the local yellow volcanic stone, the Alaaddin Mosque, a Seljuk monument that has been open for worship for centuries, and the Mansion of Doctor Hacı Nuri Bey, one of the oldest surviving Avanos houses. 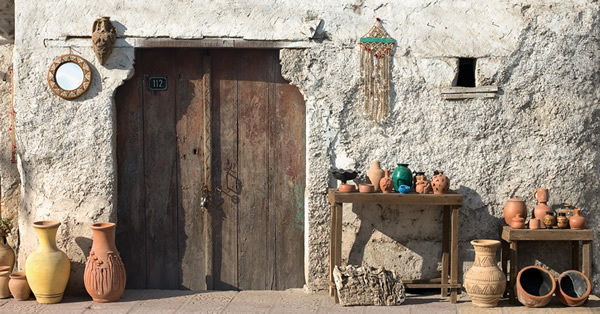 When you pass the mansion, which dates to the early 1900s, and enter the center of Avanos, the pottery workshops begin to appear. 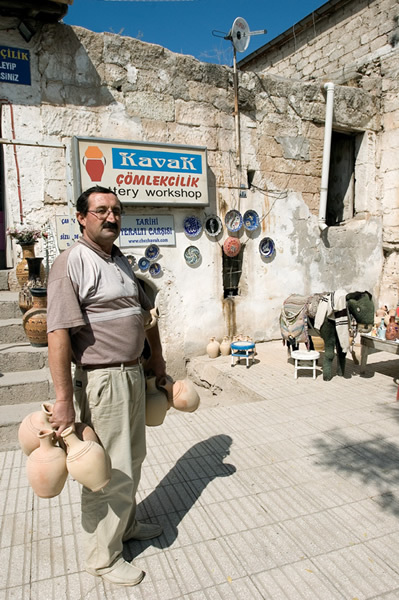 Known by the locals as ‘işlik’ or ‘çanakhane’, these workshops are striving to keep the pottery tradition alive today. 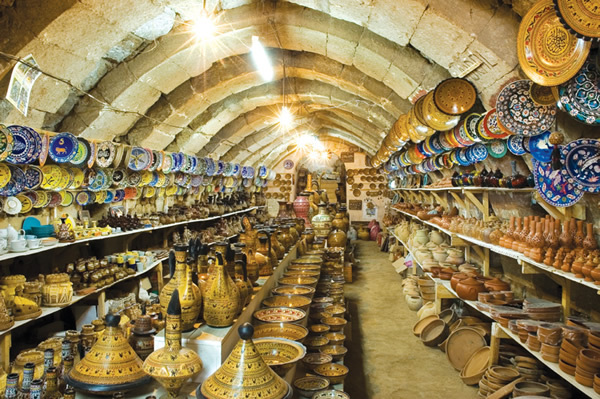 Avanos is now the sole center of pottery-making in all Cappadocia. Although it is not known exactly when pottery-making began here, according to some sources it dates back as far as the Hittites. Pottery-making in Anatolia began in the Neolithic, in other words in the 8th millennium B.C., at Çatalhöyük. The Assyrians, who came from Mesopotamia in the 3rd millennium B.C., taught the art to the Hittites. 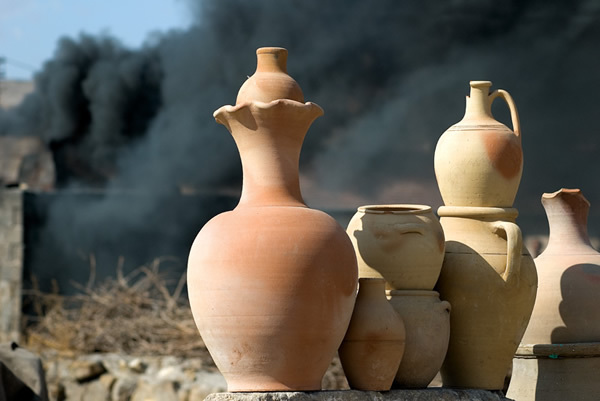 What is known is that the first examples of pottery were shaped by the wrapping-rolling method and baked over an open fire. 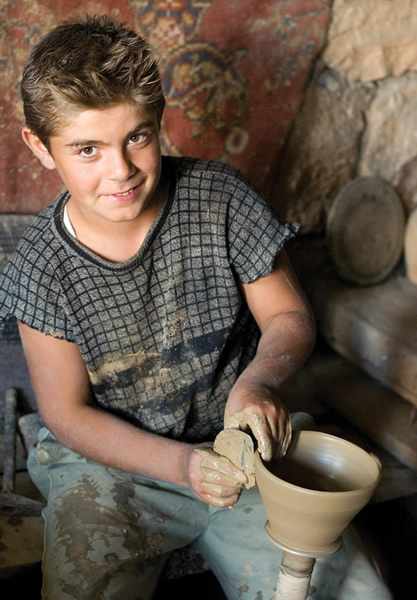 When the potter’s wheel was invented in the 3rd millennium B.C., pots were shaped on it and the first primitive kilns also came into use. Although data are scarce due to the lack of comprehensive excavations, we do know that pottery belonging to the Chalcolithic culture has been found in the townships of Hacıbektaş and Gelveri (Güzelyurt) and that pottery was still being made at Gelveri at the beginning of the 20th century. 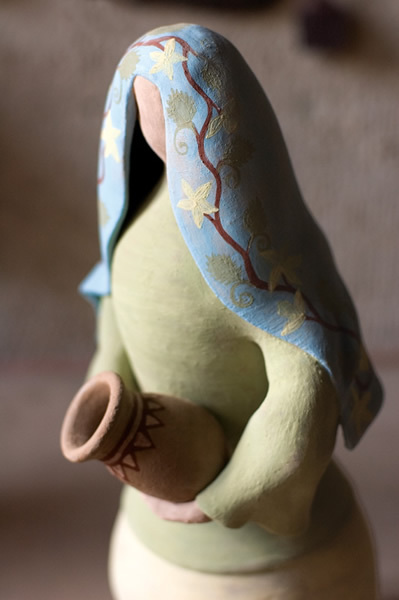 The Aksaray Pottery unique to Avanos is also known to have been produced in the style of the Gelveri masters. Each of these workshops, which have earthen floors and no exposure to the sun, has from one to at most four worktables. 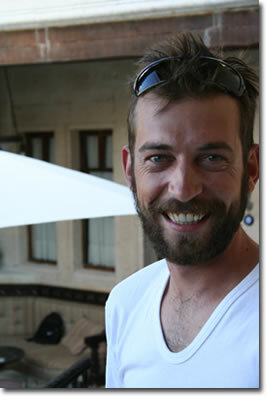 The one set up near the door on a wall near the light is called the ‘çıkrık’. The red earth is mixed with water and left to stand in a mud trough until it reaches the right consistency. Depending on the type of bed in which it is found, this mud may be loose, gritty and soft, or oily and hard, or clayey. 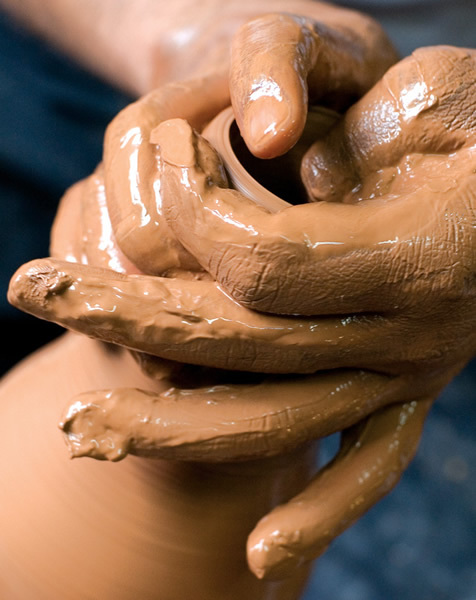 And the type of clay determines the type of vessel that is produced. 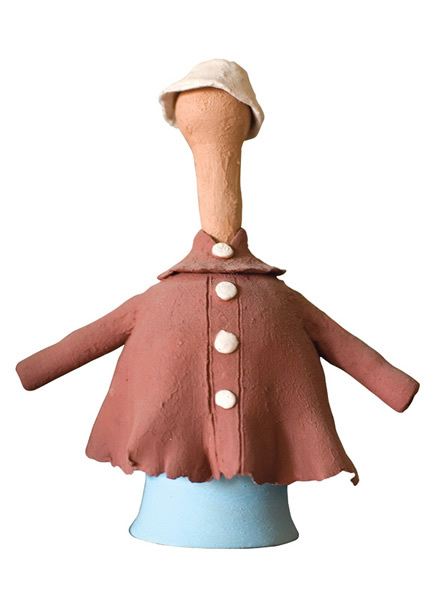 When a foot-driven potter’s wheel begins to turn, the ball of clay on it is thinned out by the skilled master’s hand and assumes its final shape within a few minutes. Shapes formed on the wheel are left to dry in the air on a bench known as a ‘yanalak’. 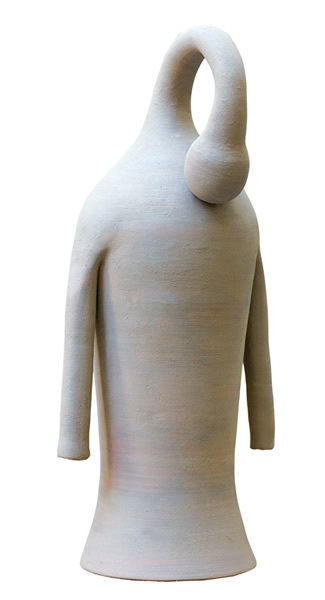 Meanwhile, when the already painted and glazed vessels are sufficiently dry, they are fired at temperatures up to 600-700 C. Besides functional kitchen vessels such as pots, earthenware water jars, pitchers and casseroles, more recently gift items that imitate the oldest shapes in Anatolia, such as those of the Hittite and the Phrygians, have begun to be produced at the pottery workshops of Avanos. 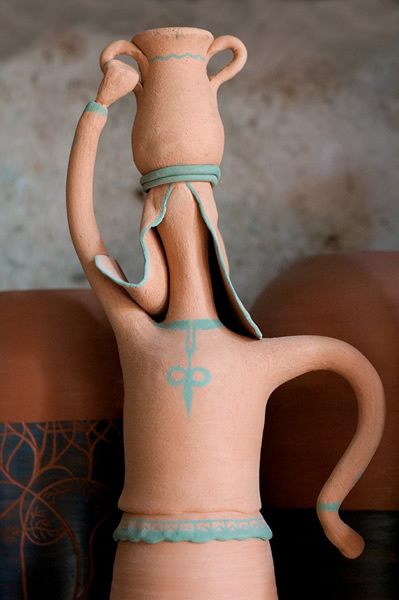 The ancient-style pottery and Avanos-made pitchers now found in gift shops in the big cities, and even in Europe, are a major source of income in the region. 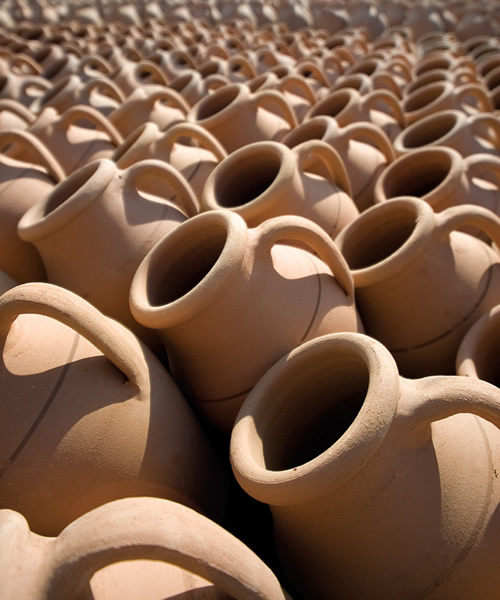 A few of the large-scale operations in the township even produce garden pottery for export to Europe. And with the assistance and contributions of some artists from abroad, some workshops have even acquired the competence to make ceramic wall panels and other artistic pieces. Today at Avanos, where there were upwards of 200 workshops at the start of the 1970s, you’d be lucky to find even hundred masters who are registered with the local Chamber of Potters. Pottery making continues, on electrically-powered wheels, and some workshops even boast vacuum presses and electric kilns. Unfortunately, however, no one from the younger generation appears to take any interest in the business today.